A quick and simple recipe, because let’s face it, who has the time in the morning for anything over 5 minutes?? The best thing? It’s total comfort food and it will make you feel amazing. Throughout high school I used to skip breakfast every single day because I would rather an extra 10 minutes in bed than getting up to make breakfast. My parents and now Jonathan can vouch for me when I tell you, early morning wake-up calls aren’t my thing. The peer pressures of high school also got to me as well. I thought that skipping breakfast of a morning would make me skinnier – as naive as that sounds. 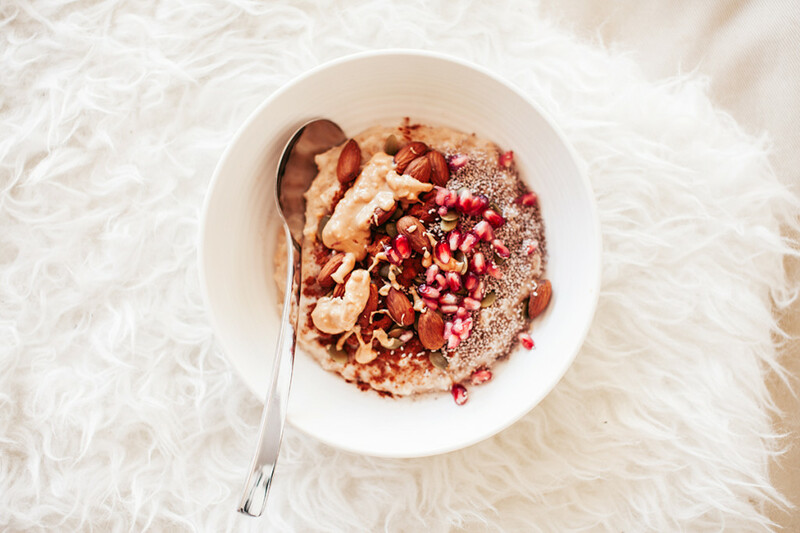 I didn’t realise at the time, that skipping breakfast deprives your body of all of the nutrients and caloric energy you need to keep your energy levels up. Throughout the day at school I would often “forget” to eat my lunch, so come home time I was beyond ravenous. I would basically eat anything and everything in the house, but because I was skinny, I never questioned the way I ate. In High School I had this weird mindset of if I ate breakfast it made me hungrier throughout the day. And if I skipped breakfast, I wouldn’t be hungry until the afternoon. In some weird way, I thought not eating breakfast meant I was saving up calories for later. This sounds logical, right? It’s completely untrue. People who eat breakfast and the people who skip breakfast end up eating the same amount of calories at the end of the day. And sometimes, people who skip breakfast end up consuming more calories because they end up overindulging. I have met other people who think breakfast makes them hungrier throughout the day, but you just need to adjust. You need to give yourself the rhythm of a couple of weeks of eating breakfast and you’ll find you won’t be hungrier. When I met Jonathan circa 2007, I began eating breakfast every morning, because he poured himself a bowl of cereal every single morning. It got be into a great habit and do you know what? It completely changed how I felt throughout the day. I was able to concentrate on other things than how hungry I was, I was more coherent throughout the day, I was focused and my moods changed from hangry all the time to a regular person! Now, I couldn’t even tell you the last time I skipped breakfast and when I find a breakfast food that I love, I have to have it every. single. day. Then I get bored and I won’t want to see that meal ever again. I kind of feel like that about crumpets at the moment. I had them so much recently that I don’t want to see another one for a while! Today I thought I would share this weeks current favourite. It’s wholesome, cheap to make and so yummy! 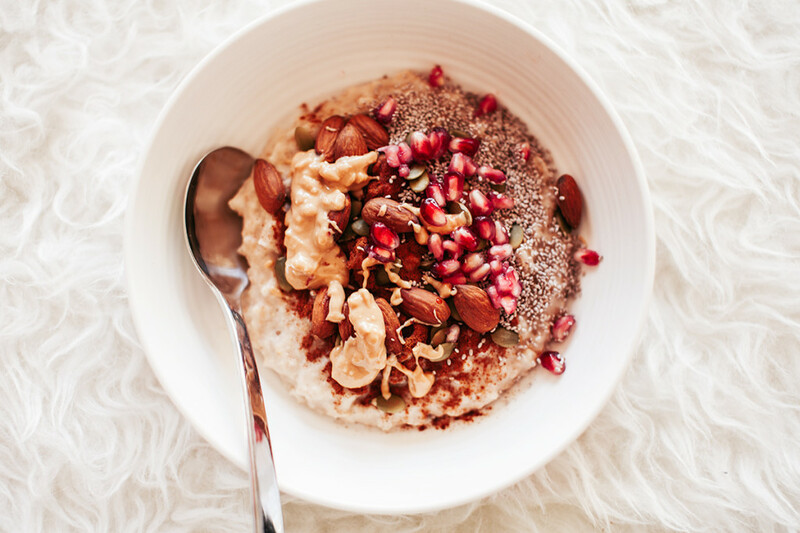 I love my big porridge bowls – they are incredibly satisfying, nourishing and they keep me full until lunch. I also love them after a big work out with a bit of protein mixed through. 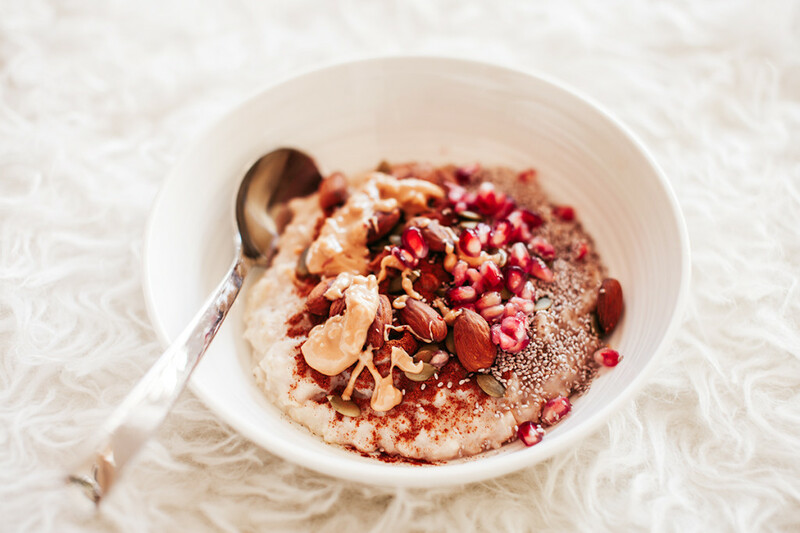 Pour 1/2 a cup of oats and 2/3 water or milk into a small saucepan. Bring to the boil and simmer for 3-4 minutes. I hope you enjoyed today’s recipe and give it a go for yourself. If you do be sure to tag me on Instagram so I can see yours! If you liked today’s post, be sure to hit the share button! And follow on the below channels so you stay up to date! Ohhhh wow, that looks SO amazing! I am a self confessed breakfast skipper (don’t judge me!) but I am making a conscious effort to change my ways and this is going straight to the top of my breakfast list. YUM! It is really yummy, Ash, you will love it. No judging at all! We all have to begin somewhere – well done for taking the first step. You will seriously feel so much better and clearer in the head when you don’t skip it.